A car is the one of the biggest purchases that you will ever make, second to a home. The car buying process can be a bit intimidating and overwhelming. After all, you do not want to end up overpaying for a vehicle. 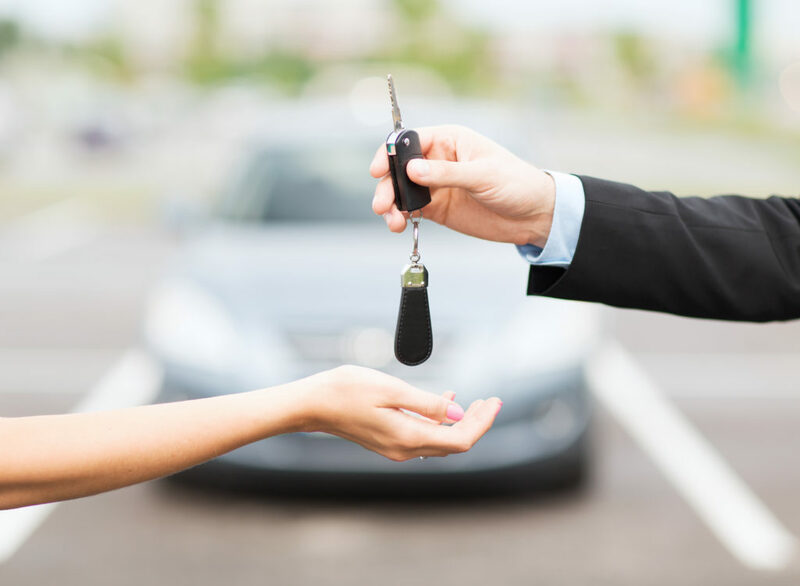 You definitely do not want to get the wrong car, altogether, as the return policy for vehicles works a little differently than any regular store purchase. You will invest a lot of time, energy, and money into the car buying process, but are you avoiding some of the most common mistakes car shoppers make? We have compiled this list to help you drive off the lot with a smile on your face without any regrets. Think of buying a car like preparing for a big exam. You do not want to go in for your big test, blind, because it could cost you. Instead, you need to study up and do your research. The internet is your friend. Use it to search for a car that matches your price range. You can filter your car search by makes, models, years, mileage, and more. It is also smart to read a few reviews about both the car and the dealership you will be potentially be doing business with. 2. Picking The Wrong Car. Think about what you do on a day-to-day basis. What about on a weekly basis? Maybe, better fuel economy is at the top of your must-have list because of your long commute to work. Also, think about your future plans. If you are planning on starting a family, investing in a sedan or SUV that offers the safety and seating you need may be a good idea. 3. Looking At Only One Place. If you have found your dream car, there is nothing wrong with signing and driving away without stepping foot on another car lot. However, sometimes, it pays to keep your options open. Travel to different dealerships to see who offers the best deal. For a more convenient search, this can also be done online. When shopping for a dealership, keep customer service in mind, as well. This is just as important as the price and value of the car. 4. Not Looking Up Your Car’s Value. If you are planning on trading in your car for a new or used vehicle, it would be a smart idea to look up your car’s trade-in value. Keep this number at the back of your head when going to a dealership. If the dealership does not offer you what you want, you can try to negotiate, sell on your own, or go to a private party. 6. Forgetting About The Online Department. Many people think of buying a car in the traditional way. You walk onto a lot to speak with a salesperson about your interest in a vehicle. In today’s world, most dealerships also have an online department. These departments take the stress out of the negotiation process, creating a totally different car shopping experience. 7. Thinking Dealership Financing Is Your Only Option. Most people cannot afford to pay for a vehicle in its entirety, so they finance it with a loan. It may seem easier to use the financing options offered through the dealership. However, this is not your only option. You can also get a car loan through a bank, credit union, or online company. Do your homework to decide which financing option is right for you and which one offers you the lowest interest rates. 8. Feeling Forced Into A Buy. Buying a car is a big decision. If you have any doubts, sleep on your decision. You need to be 100% confident and be in a place where you can financially afford the monthly payments. A salesperson should respect your choice and need for more time, so they should not push you to buy. 9. Thinking New Is Your Only Option. There are advantages and disadvantages to buying both new and used cars. While new cars offer top-rated technology and features, buying used could save you money, upfront. In addition, requesting a CarFax report is a great way to have peace of mind in the car buying process. You will find out information about the vehicle’s history, such as previous owners, accidents, and more. One of the first things that you should do when searching for a car is to establish a budget. Stick to that budget. One way to do this is by avoiding looking at any cars that fall outside your price range. This way you do not risk falling in love with a car that you cannot afford. By avoiding these mistakes, you can save yourself time, money, and stress, making the car buying process much more enjoyable. We, at National Dispatch, are also here to help during the process and anytime in the future. If you are buying a car out of state, our nationwide auto transport services can make your life easier by shipping your car to you. With our years of experience and trained auto shipping experts, you never have to worry about your car’s safety along the way. Request a free, instant car shipping quote. No personal information is required to get a car transport rate in seconds. Only four fields are needed: vehicle make, vehicle model, pickup location, and delivery location. If you prefer to speak with an auto transport representative, you can call us at 800-321-2051.